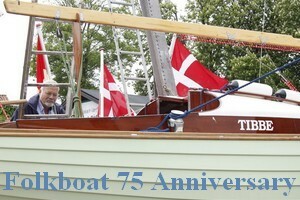 Believe it or not, the Nordic Folkboat turns 75 in 2017 and it calls for a celebration! 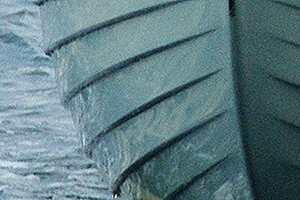 Since it was designed in 1942 by Scandinavian boat designers the Nordic Folkboat has conquered the hearts and minds of thosands of sailors around the globe – and for good reasons. Kerteminde Sejlklub is proud to invite all Folkboat sailors—past and present—to a celebration to remember. A fantastic opportunity to catch up with old friends, to talk about memories and stories from your Folkboat career. The celebration will be just prior to the start of the Gold Cup 2017 also hosted by Kerteminde Sejlklub. The final F75-anniversary activity is the dinner-party sunday evening, but before that there will be come-together memorylane lounge, fun-sailing and more. The day after the F75 anniversary party is the start-up day for the next event – GoldCup 2017. Come to Kerteminde a well preserved market town dating back to the 13th century and – the birth place of more than 1,100 folkboats, some of the best and most challenging racing conditions in Northern Europe, fantastic surroundings with a great marina named “Marina of the Year” 2015, charming villages nearby and much more! The frame is set; there is a great team behind the project who will do their absolute best to make the event memorable. So please save the dates. For further information: Follow our website and Facebook and join our interest/mailinglist ⇒ join . F-75 Anniversary Saturdauy-Sunday including fun-sailing and ticketssale for the F75 anniversary party.